Can Apple actually take on Netflix, Hulu and Amazon in the increasingly crowded world of streaming video? We're about to find out on March 25th, when Apple is expected to give us a glimpse at its long-awaited video service. It's something the company has been building out in the open over the past few years, so it's not exactly a secret. After high profile flops like Planet of the Apps and Carpool Karaoke, it's a bit tough to feel that excited about whatever Apple is cooking up -- but there's always the chance that it could offer something truly unique. At this point, all we know for certain is that Apple is laser-focused on producing original shows. The company has reportedly spent over a billion dollars in 2018 on content -- a hefty amount, for sure, but it's still far less than the eight billion Netflix spent during the same year. Apple's strategy seems more reliant on big names and crowd-pleasing concepts, than Netflix, which has gone with a spray and pray approach. It's signed on Steven Spielberg to produce a new Amazing Stories series, JJ Abrams is developing two shows, and Oprah is on-board for a multi-year deal. On the geekier side of things, Apple is producing a series based on Isaac Aasimov's Foundation, and the producer of the Battlestar Galactica reboot is developing a new show set in space. Even M. Night Shyamalan has something in the works. To help build up all of its new content, Apple has also hired several TV executives from traditional studios like Sony Pictures, Universal and Channel 4. This is entirely new territory for Apple, and it makes more sense to bring in people who have experience instead of toughing things out on its own. In addition to creating its own shows and movies, Apple is reportedly negotiating with HBO, Showtime and Starz to bring over their premium content, as well. As Recode reports, this will likely be Apple's main focus as it kicks off its video plans. Most likely, you'll be able to subscribe and watch them without leaving Apple's interface, similar to how it works on Amazon Prime Video and Hulu. 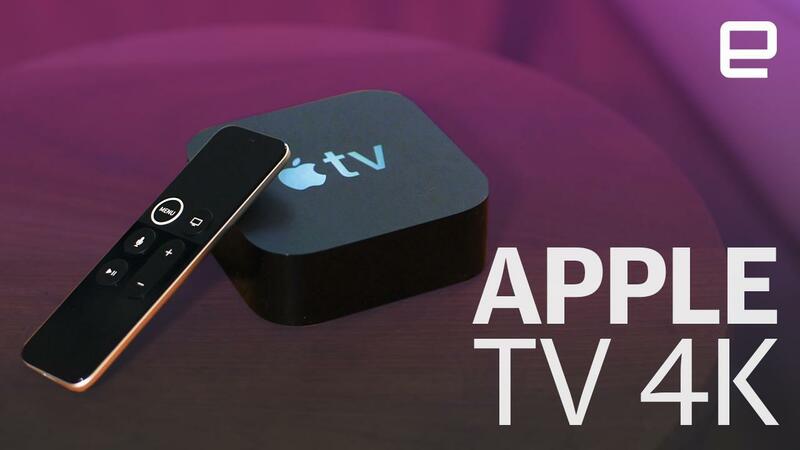 Of course, you can already access those networks on their own Apple TV apps, but it makes sense to streamline the viewing and purchasing process as much as possible. The Information notes that Apple's big twist could be discounted bundles, something that hearkens back to classic cable TV bundles. Even though we have a decent sense of Apple's strategy, we don't know what the service will actually look like. Personally, I'd bet on it being an extension of the "TV" app, which its been positioning as the easiest way to keep track of everything you're watching. Cost is another factor that's still up in the air. Apple is reportedly planning to offer several shows free at launch for people who own its devices, with a premium subscription to follow. I wouldn't be surprised to see if bundled with Apple Music eventually, which currently costs $10 a month. Naturally, I'd expect Apple's TV service to be available on all of the company's devices, as well as Windows and Android, which have iTunes and Apple Music apps, respectively. While Apple gained a reputation for exclusivity, especially back in the iPod era, that won't fly today. That's also why the company delivered some surprising news at CES this year, when major TV manufacturers like Samsung, Vizio and LG announced support for AirPlay 2. Samsung is going a step further with a full-fledged iTunes app, which turns its sets into pseudo-Apple TVs. "Apple is opening the walls a bit more," said Gartner VP and analyst Annette Zimmermann. "We are in a smartphone market that won't be growing much anymore in the next 5 years according to our data. People are replacing their devices not as fast as they used to. Hence Apple is in the position where it needs to increase its subscription services business." Unfortunately, it'll likely be a while before you'll actually be able to see Apple's streaming video. According to Variety, the company will have clips ready for its launch event, but the service won't actually launch until Summer or Fall. Given how late Apple is to this market, it makes more sense to take its time and get everything right. Beyond its TV service, there's a chance that we'll see even more TV partnerships announced at the media event, as well as a release date for iOS 12.2. We might also get a peek at Apple's subscription news service, though it doesn't quite fit in with the entertainment tone of the event. Just because Apple was the first to crack digital music doesn't mean it can repeat its success with video, especially when the competition already has a huge headstart. But from the sheer talent alone, Apple's TV service already sounds like something worth watching.